Replacing a rear main seal is time consuming, requires special knowledge of your vehicle and the use of special tools if you are going to do it correctly and without placing you or your vehicle in danger. “You have a leak from your rear main seal” is one of those phrases that we all hope to never hear from your mechanic. Usually, that is one of those phrases that makes you cringe because you know you have a hard decision to make. Since it is such a difficult repair, it’s usually not something you can do yourself and your mechanic has to charge a lot for. Replacing a rear main seal can be so expensive the cost to replace it may be more than you have to spend, or even more than your vehicle is worth. 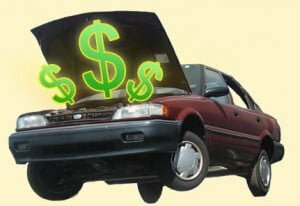 When faced with a high dollar repair on an older vehicle it can be difficult to decide if it’s worth dumping more money into an older vehicle that doesn’t have much value. There are a few things to consider when making this decision. 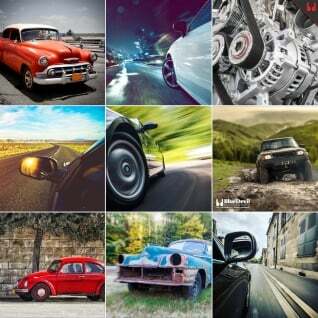 What is your vehicle worth in its current condition? What is the cost of this repair? Are there other major repairs need? What is the vehicle worth in good working condition? You may be surprised how much your vehicle is worth in its unrepaired condition. Today, there is so much information available on the internet on how to repair many vehicles and the ability to order almost any replacement part either OEM or aftermarket, new or used from a wide variety of trading websites, Ebay, and parts wholesalers. This means that there are more and more people willing to pay top dollar for cars needing major repairs. The difficult part can be finding out how much someone is willing to pay for your broken car. The best way is to check local listings and see what other vehicles in need of repair are selling for. Often these can be listed as “mechanic’s specials”. You might check your local newspaper classifieds, Craigslist or Autotrader. If you have the time, you can also try posting an add for your vehicle in its current condition and see what offers you get for it. If your broken vehicle’s value plus the needed repair cost is more than what the vehicle is worth in good condition, it may be time to think about selling it. The good news is a vehicle with a leaking rear main seal is usually still able to be taken at least on a test drive which will help with the resale value. Before you jump on Craigslist and put up a new add you should consider if there are any alternative solutions to a costly repair. 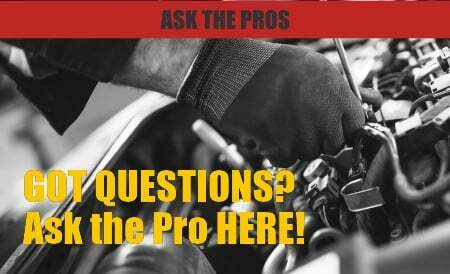 Most of the oil leaks your engine will develop are due to old or worn out gaskets and seals. These seals over time can become shrunken or cracked and brittle do to old age, infrequent use or even regular intended usage. Instead of replacing these old seals and gaskets, first try restoring the ones currently in your engine. BlueDevil has a full line of oil stop leaks products designed to repair and restore the seals in your engine and is guaranteed to stop seeping or dripping oil leaks. BlueDevil products will not clog or harm your engine in anyway and can stay mixed in your oil until your next oil change. I was wondering if your “Rear Main Sealer” is recommended for use in Mazda Rotary motors? Yes, the BlueDevil Rear Main Sealer is recommended and has successfully worked in Mazda rotary engines. Before using Blue Devil Oil Stop Leak, is it necessary to change the oil first? It is not necessary however you must leave the treated oil in the system for at least 200 miles of driving (not consistent) after the installation of the product. If you have any other questions, feel free to call our tech line at 1.888.863.0426. How long does this job typically take? Most shops quote 6 – 8 hours of labor. Yes, BlueDevil Rear Main Sealer is compatible and safe to use in your Yukon. Once the product is added you can expect to start seeing results after about 100 miles of driving. Will this work for my 1998 dodge Dakota? 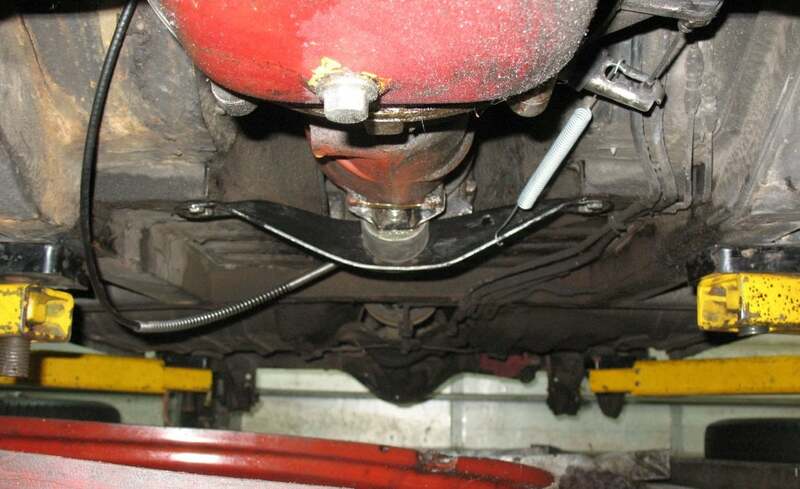 Yes, the BlueDevil Rear Main Sealer is safe and compatible to use on your Dodge Dakota. As long as you are not losing oil too quickly, you would be a great candidate for the product. You should expect to see results after about 100-200 miles of driving. Thank you for asking about your Jeep Grand Cherokee. Depending on where you are located, a rear main seal replacement can cost anywhere from $650-$850. It is a very labor intensive job, as usually the parts will only cost around $40-$50. Is there any reason to not use in a VW TDi 3.0 engine? The BlueDevil Rear Main Sealer is compatible in your VW. As long as you are not losing oil too quickly, you would be a good candidate for the product. You should expect to see results after about 100-200 miles of driving. Feel free to contact our technical support line at 888-863-0426 with any other questions. Used your product on my 2002 Suburban and it worked great for awhile. A few months later it is leaking again. does this need to be added more than once? Thank you for asking about your Chevy Suburban. Typically, you should only need to add the product once. Once the product seals, it would create a permanent seal. Please contact our technical support line at 888-863-0426 so that we can get a better understanding of the vehicle’s condition and be able to make any appropriate recommendations. Is it compatible with my 1993 suburban k1500 and how long will it take to work. Yes, the BlueDevil Rear Main Sealer is compatible with your Suburban K1500. Typically, you should expect to see results after about 100-200 miles of driving. I have Chevrolet Spark LS 0.8 2009 and encountered with its Main Oil Seal leaking. Could u please tell me if I can purchase Blue Davil Rear Main Sealer in Pakistan and from where? You may purchase the BlueDevil Rear Main Sealer directly on our website, http://store.gobdp.com/rear-main-sealer-00234/. Simply complete the order checkout and we can ship the product to you. Read your article, was informed that I may have/appears to be an engine rear seal leak. Vehicle is a 2008 Ford Edge AWD, i assume your product would work/is compatible?? Yes, the BlueDevil Rear Main Sealer is safe and compatible to use with your Ford Edge. You should expect to see results after about 100-200 miles of driving. Thank you for asking about your Chevy Suburban. How quickly are you losing oil? Did you notice any kind of improvement? If so, a second application of the BlueDevil Rear Main Sealer (http://store.gobdp.com/rear-main-sealer-00234/) would be recommended. Please contact our technical support line at 888-863-0426, so that we may assist you in receiving a replacement bottle. I used the rear main seal stop leak and the leak is improved about 90%…is it ok to add another bottle or do I need to do another oil change as well? Based on your description, it would be okay to add another bottle of the BlueDevil Rear Main Sealer. You would not need to change the oil prior to re-adding the product, unless you are due for a change within the next 300 miles or so. Please contact our technical support team at 888-863-0426 so that we may assist you in receiving a replacement bottle. I have a 1999 ford ranger, will blue devil work good on my leak ? Yes, the BlueDevil Rear Main Sealer is safe and compatible to use on your Ford Ranger. You should expect to see results after about 100-200 miles of driving. The BlueDevil Rear Main Sealer is only intended for rubber seals. Unfortunately, we do not manufacture a product intended for rope seals. A hard part repair may be your best option. Thank you for asking about your Buick. The BlueDevil Rear Main Sealer is intended for leaks that are seeping or lightly dripping from the system. If you are losing oil at a rapid rate, unfortunately, it does not sound like a good candidate for the product. A hard part repair may be your best option. I have a 2002 Nissan Altima. The mechanic at a Chevron Oil Stop says the rear seal has a ring around the seal. It was after the oil change a few days later I smelled burnt oil and thought the plug hadn’t been tight when it put back on at the oil change. Is this product one that can be used on this vehicle? Yes, the BlueDevil Rear Main Sealer is safe and compatible to use in your Nissan Altima. You should expect to see results after about 100-200 miles of driving. My rear main seal is leaking a little bit on my 1988 camaro iroc z can I used is this oil stop leak compatible with my car? Yes, the BlueDevil Oil Stop Leak is safe and compatible to use in your Chevy Camaro. You should expect to see results after approximately 100-200 miles of driving. Can I use on 96 E320 benz? Yes, BlueDevil Rear Main Sealer is safe and compatible to use in your Mercedes. Expect to start seeing results after approximately 100 miles of driving. The Future Of Jobs In The Auto Industry — What is the Best Windshield Washer Fluid?